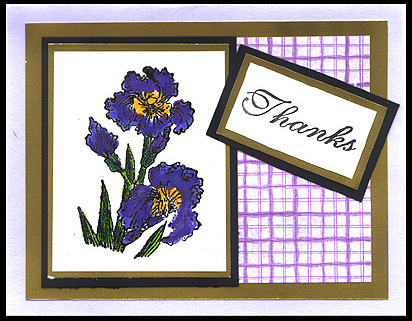 “Iris” and “Thanks #1” are black embossed, colored with markers and brushed with Pearl Ex Violet Interference. Both are layered on black, gold, purple and scrap book paper. Card by Judy Conklin.